Features we have considered for you: kids clubs, play areas, kiddie pools, availability of family rooms, safety of the resort area. 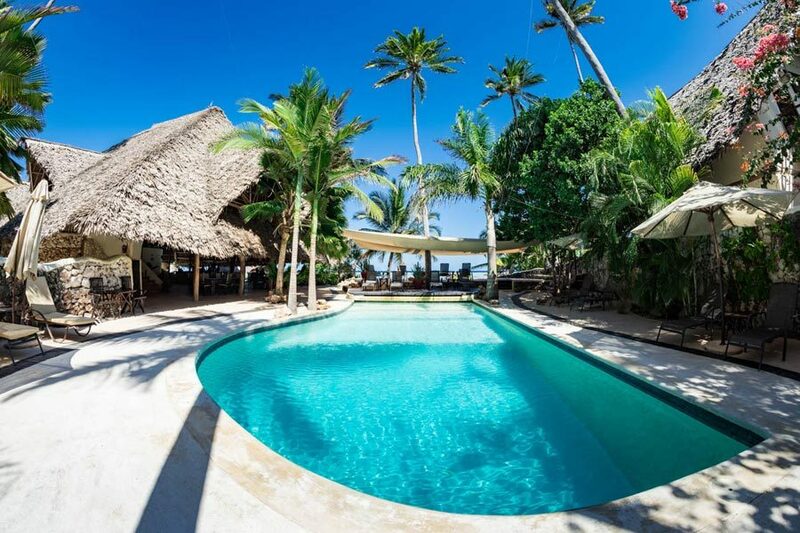 Read also: What to do in Zanzibar with kids? 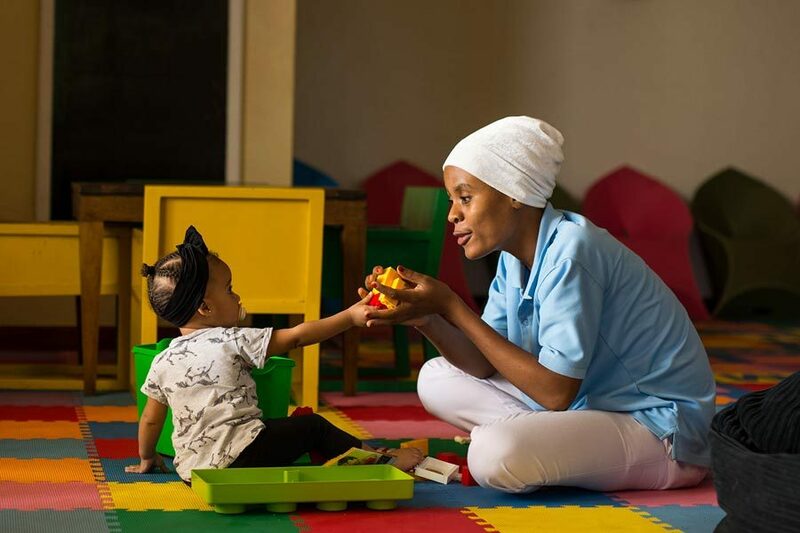 This list has the Zanzibar resorts that have a dedicated kids clubs. This means a dedicated club room area for kids as well as a babysitting service (sometimes at extra cost). This hotel has the best jetty in the island and a perfect intinity pool, with separated kids section. What tops it all is their huge kids club with a small pool and lots of activities. This resort is conveniently close to town and on the sunset side of the island. It has tons of activities, including golf and horse riding. 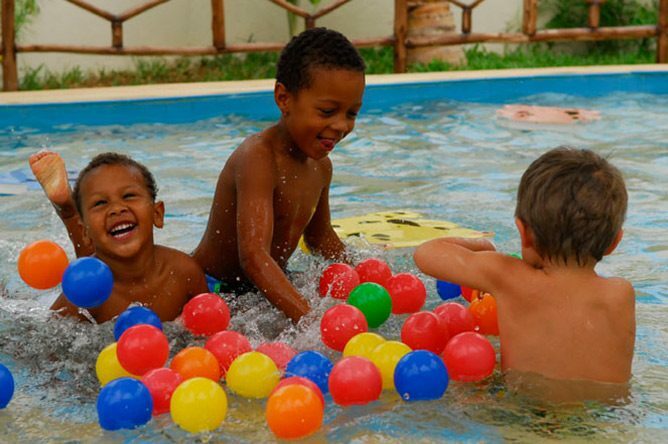 Kids club and a small kiddie pool make it an easy hotel with kids. 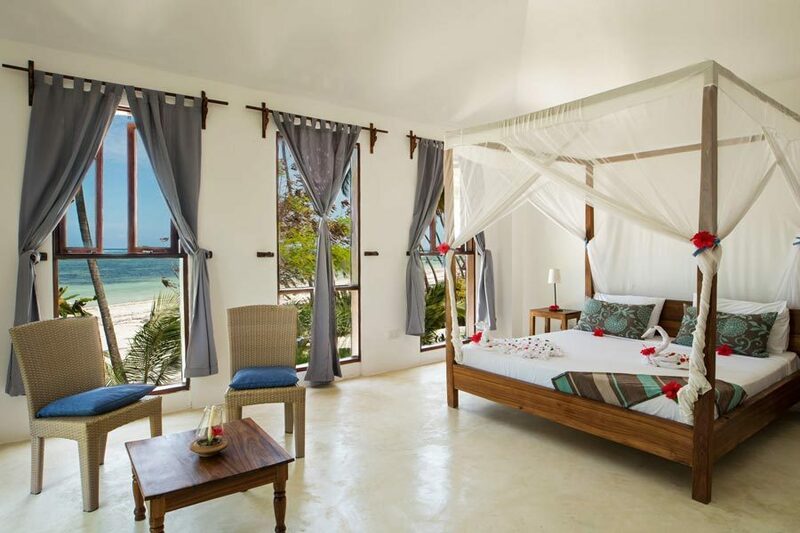 Perhaps the most celebrated resort in Zanzibar, Baraza is beyond it’s 5 stars. Huge family rooms with private pools and a great kids club, the hotels offers luxury to both children and adults. Not willing to go to a big resort? Some of our favourite sustainable boutique hotel options are listed here. All of them offer great family rooms and a child-friendly beach, pool or playground. 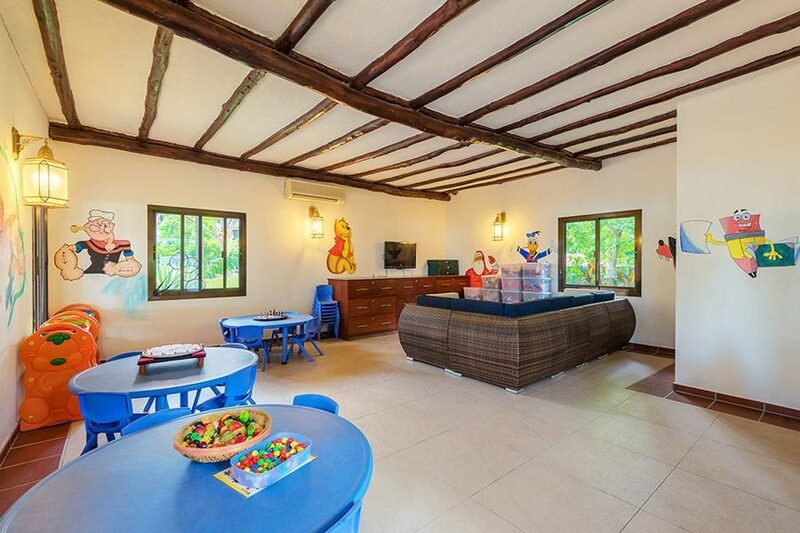 Maybe the greatest family rooms in the island – with kids beds and super spacious terrace. There’s a small playground near the pool and direct access to the tranquile beach of Bwejuu. This locally owned small resort is optimal for peace and quiet. 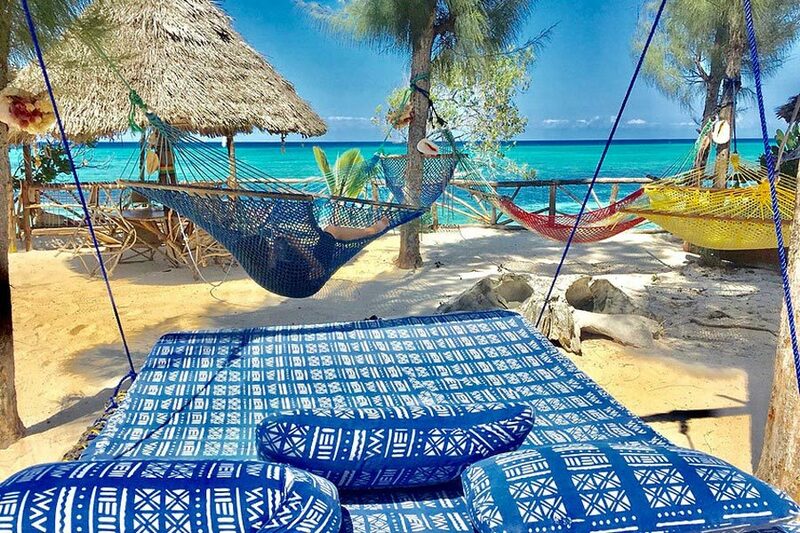 Walking distance from Nungwi but in it’s own privacy, this hotel offers sea-view family rooms and a beach front full of hammocks and swings. This eco-hotel offers kid-frienly pool and a play-area in the restaurant. It’s directly on the beautiful Matemwe beach, where you can create the greatest sand castles out of the fine sand. Travelling the worls with kids is expensive enough, and sometimes best experiences come in small packages. Zanzibar is not only about luxury resorts, it’s also about local people and playing on the beach. 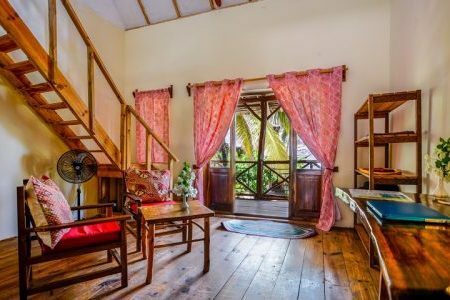 This rasta style beach lodge is a great spot for relaxation. The pool deepends slowly and the reastaurant eare is full of swings and hang-out spots. All rooms are built to be eco-friendly. Somewhere between nudget and boutique, this hotel offers lovely and spacious family rooms in the village of Jambiani. Small pool and direct access to the beach. 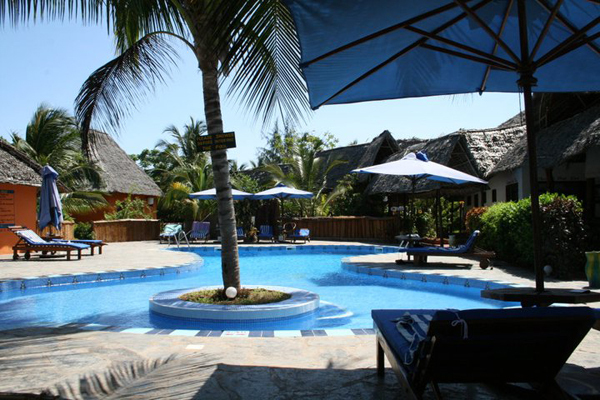 Smallish hotel in the village of Matemwe, Villa Kiva offers nice family rooms and a pool area with a shallow end. Direct access to the white sands of the beach! 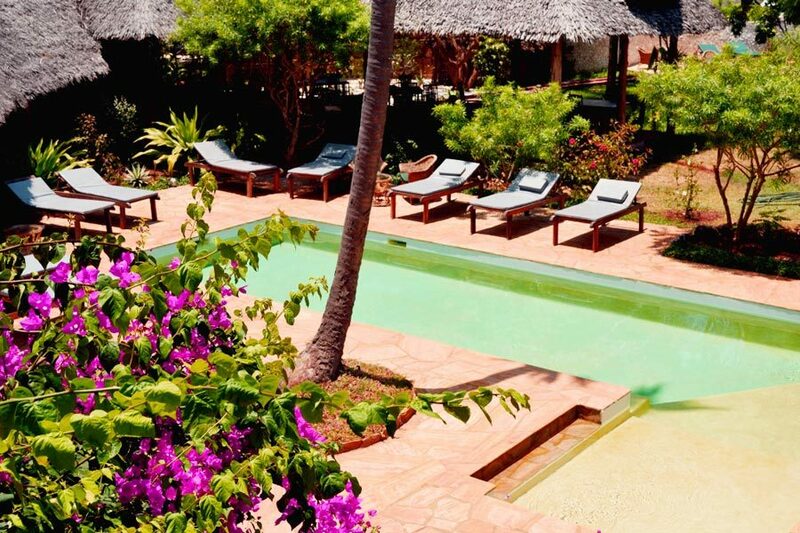 We know Zanzibar personally, and much better than the booking websites. Why not ask us for an offer for the whole holiday? We can match the prices you find online, and add much more value to your package. How many are you, how old are the kids, do you have a budget ready? Let us know about you and we will do our best to find the best places to stay and things to do exactly for you.